Tips From Donna Wesban Monthly September 2017 | Wesban Financial Consultants P.C. If you plan to continue working after you reach age 65, you may be wondering how Medicare coordinates with your employer's group health plan. When you're eligible for both types of coverage, you'll need to consider the benefits and costs, and navigate an array of rules. How does Medicare work with your group health plan? You can generally wait to enroll in Medicare if you have group health insurance through your employer or your spouse's employer. Most employers can't require employees or covered spouses to enroll in Medicare to retain eligibility for their group health benefits. However, some small employers can, so contact your plan's benefits administrator to find out if you're required to sign up for Medicare when you reach age 65. If you have Medicare and group health coverage, both insurers may cover your medical costs, based on "coordination of benefit" rules. The primary insurer pays your claim first, up to the limits of the policy. The secondary insurer pays your claim only if there are costs the primary insurer didn't cover, but may not pay all the uncovered costs. Who is the primary insurer? If your employer has 20 or more employees, your employer group health plan is primary and your Medicare coverage is secondary. If your employer has fewer than 20 employees, your Medicare coverage is primary and your employer group health plan is secondary. Your employer can tell you more about how your group health coverage works with Medicare. Should you wait to enroll in Medicare? Medicare Part A helps pay for inpatient hospital care as well as skilled nursing facility, hospice, and home health care. Because Medicare hospital insurance is free for most people, you may want to enroll in Part A even if you have employer coverage. It could be helpful to have both types of insurance to fill any coverage gaps. However, if you have to pay for Part A, you'll need to factor the cost of premiums into your decision. Medicare Part B medical insurance, which helps pay for physician services and outpatient expenses, requires premium payments, so it would be wise to compare the costs and benefits of Medicare to your employer's plan. If you're satisfied with your employer coverage, you may be able to wait to enroll in Part B.
Late-enrollment penalties typically apply if you do not enroll in Medicare Part A and Part B when you are first eligible. However, if you are covered by a group health plan based on current employment, these penalties generally do not apply as long as you follow certain rules. You can sign up for Medicare Part A and/or Part B at any time as long as you are covered by a group health plan through your own employment or your spouse's employment. When you stop working or your coverage ends, you have eight months to sign up without penalty. This eight-month period starts the month after your employment ends or the month after your employer group health coverage ends (whichever occurs first). Visit medicare.gov for more information. What if you have an HSA? If you have a high-deductible health plan through work, keep in mind that you cannot contribute to a health savings account (HSA) after you enroll in Medicare (A or B). The good news is that the HSA is yours, even if you can no longer contribute to it, and you can use the tax-advantaged funds to pay Medicare premiums and other qualified medical expenses. So it might be helpful to build your HSA balance before enrolling in Medicare. Whether you should opt out of premium-free Part A in order to contribute to an HSA depends on what you consider to be more valuable: secondary hospital insurance coverage or tax-advantaged contributions to pay future expenses. HSA funds can be withdrawn free of federal income tax and penalties provided the money is spent on qualified health-care expenses. HSA contributions and earnings may or may not be subject to state taxes. How are Medicare claims handled? Once you enroll in Medicare, tell your health-care providers that you have coverage in addition to Medicare to help ensure that claims are submitted properly. You can also contact the Medicare Benefits Coordination & Recovery Center (BCRC) at (855) 798-2627 if you have questions about how your claims will be handled. Medicare rules are complex, and these are only guidelines. Different rules and considerations apply if you have retiree health coverage through your former employer (or your spouse's employer) or other types of health coverage. For more detailed information, visit medicare.gov. ABLE accounts are tax-advantaged savings accounts that were created as a result of the Stephen Beck Jr. Achieving a Better Life Experience (ABLE) Act. Now that many states have launched ABLE programs, you may have questions about how these accounts work and how they may help you or a family member save for disability-related expenses. 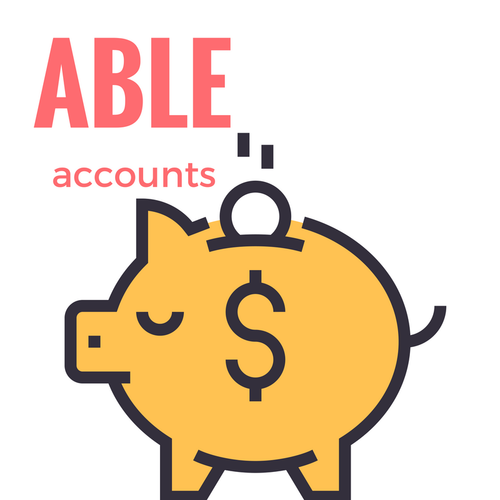 Why open an ABLE account? Retaining eligibility for Medicaid, Supplemental Security Income (SSI), and other much-needed public benefits depends on meeting a means or resource test. Individuals may have only $2,000 in countable assets, such as savings and retirement funds. This makes it very difficult to establish financial independence and save for most disability-related expenses, including those not covered by public benefit programs. ABLE accounts help address this problem. Because funds in an ABLE account will generally not count toward this asset limit, individuals with disabilities may put money aside for their future needs without jeopardizing their eligibility for public benefits. Regardless of the balance, money in an ABLE account does not affect an individual's eligibility for Medicaid, but any account balance over $100,000 may temporarily affect SSI eligibility. When an ABLE account exceeds $100,000, SSI payments will be suspended until the account balance falls back to the level required. If you have a significant disability that began before age 26, you may be eligible to open an ABLE account. If you meet that age criteria and are already receiving SSI or Social Security Disability Insurance (SSDI), you automatically qualify. You may also qualify if you're not receiving those benefits but you meet Social Security's definition of disability and are able to obtain certification from a physician. If you have a family member who qualifies, you may be able to open and oversee an ABLE account on that person's behalf if you are legally authorized to do so (for example, you're the parent or legal guardian of a minor or someone who is legally unable to manage his or her account, or you have power of attorney). The individual with the disability remains both the account owner and the beneficiary. No matter who opens the account, each eligible beneficiary can have only one ABLE account. Can you open an account in any state? You can open an ABLE account in your own state if your state has an ABLE program or in any state that allows nonresidents to join (most do). * Contributions can then be made by the account owner or by family members, friends, employers, or others who want to provide financial support. What investment options can you choose? Annual and lifetime contribution limits apply. Each year, contributions from all donors combined may not exceed the annual federal gift tax exclusion for that year. In 2017, this limit is $14,000. Each state sets its own lifetime limit, which is also the state's maximum limit for Section 529 college savings plans. In many states this limit is at least $350,000. What tax benefits do ABLE accounts offer? Any account earnings accumulate tax deferred at the federal level (and in some cases at the state level). When money is withdrawn, the earnings on these distributions will be tax-free if they are used to pay qualified expenses. While no federal income tax deduction is available, some states may offer tax incentives to residents. Check with your financial or tax professional for more information on your state tax benefits, and information on your situation. What can ABLE funds be used for? Money in an ABLE account must be used for qualified disability expenses. In general, a qualified disability expense is one related to living with a disability, including transportation, health care, personal assistance, assistive technology, employment training, and legal fees. It's up to you to track how ABLE funds are spent — you won't be required to submit documentation to the program. However, keep in mind that the earnings portion of a withdrawal not used for a qualified expense may be subject to ordinary income tax and a 10% federal income tax penalty. The Federal Open Market Committee (FOMC) adjusts interest rates to help keep inflation near a 2% target. The FOMC's preferred measure of inflation is the Price Index for Personal Consumption Expenditures (PCE), primarily because it covers a broad range of prices and picks up shifts in consumer behavior. The Fed also focuses on core inflation measures, which strip out volatile food and energy categories that are less likely to respond to monetary policy. The typical American might be more familiar with the Consumer Price Index (CPI), which was the Fed's favorite inflation gauge until 2012. The Consumer Price Index for All Urban Consumers (CPI-U) is used to determine cost-of-living adjustments for federal income taxes and Social Security. The CPI only measures the prices that consumers actually pay for a fixed basket of goods, whereas the PCE tracks the prices of everything that is consumed, regardless of who pays. For example, the CPI includes a patient's out-of-pocket costs for a doctor's visit, while the PCE considers the total charge billed to insurance companies, the government, and the patient. The PCE methodology uses current and past expenditures to adjust category weights, capturing consumers' tendency to substitute less expensive goods for more expensive items. The weighting of CPI categories is only adjusted every two years, so the index does not respond quickly to changes in consumer spending habits, but it provides a good comparison of prices over time. According to the CPI, inflation rose 2.1% in 2016 — right in line with the 20-year average of 2.13%.1 This level of inflation may not be a big strain on the family budget, but even moderate inflation can have a negative impact on the purchasing power of fixed-income investments. For example, a hypothetical investment earning 5% annually would have a "real return" of only 3% during a period of 2% annual inflation. 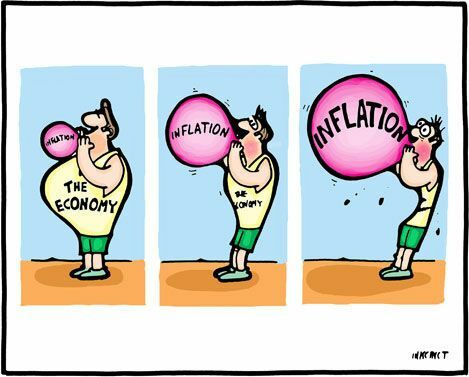 Of course, if inflation picks up speed, it could become a more pressing concern for consumers and investors.